Visit Firestone Complete Auto Care for a fast oil change in Studio City. Schedule your oil change appointment online today! When it comes to maximizing engine performance and extending engine life, turn to your nearest oil change places. 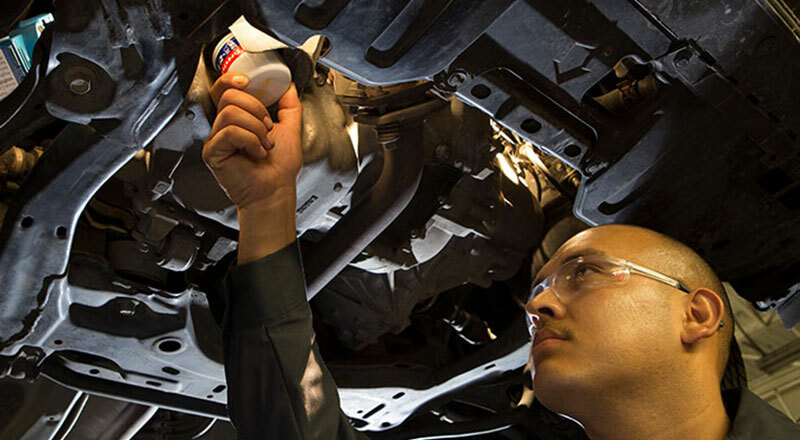 In Studio City, Firestone Complete Auto Care is the car care center of choice for quality oil changes and expert customer service. Routine oil changes can better keep your engine's most valuable moving parts shielded from two major attackers, heat and friction. If the oil and filter get too old, your engine won't perform as it should and you could face decreased gas mileage, along with engine damage. Combat engine wear and tear by having oil changes every 3 months or 3,000 miles, or as your vehicle manufacturer recommends. Our knowledgeable technicians do more than change your oil. During your service a qualified technician will change your car or truck's motor oil using the best type of oil for your engine and driving style, which might be synthetic, synthetic blend, high mileage, or conventional oil. Afterwards, we'll replace and recycle your used oil and old filter, inspect other vital filters, and fill up essential fluids. Even windshield wiper fluid! Plus, when you come to Firestone Complete Auto Care in Studio City for an oil change you'll also receive a free courtesy check for your vehicle. Technicians will look over your truck or car from front to back to help make sure your lights, battery, belts, hoses, wipers, and tires are up to par. Compare the best motor oil brands and prices, only at your neighborhood Firestone Complete Auto Care. We offer oil changes at competitive prices with brand-specific offers, special discounts, and synthetic oil change coupons. Cheap oil changes don't come around every day! Book your appointment for an oil change in Studio City at a time that's most convenient for your busy schedule. You can trust our ASE-certified technicians to take care of your car's engine like their own! From state inspections to alignments to engine repair, turn to your local Firestone Complete Auto Care for your car repair and maintenance services. We're your local car care center, tire store, and automotive shop combined into one. Our highly qualified technicians care about keeping your car running newer, longer. When you need work done on your car or truck, we will strive to make your visit satisfying. Ready to experience the difference? Book your Studio City, California auto repair or service today.